This article first appeared in The Edge Financial Daily, on January 18, 2018. Montblanc, the pen-maker that began making Swiss watches two decades ago, is shoring up its credentials as it expands with sports models near the price range where Rolex Group and Breitling AG timepieces start. The brand, owned by Geneva-based luxury-goods maker Richemont, is introducing a line of Timewalker sports watches with a mountain-climbing theme this year after entering the category last year with a collection based on racing. Already strong in the €2,000 (RM9,673)-to-€4,000 price bracket, Montblanc is sharpening its focus on the €4,000-to-€6,000 range, according to Davide Cerrato, managing director of its watch business. Those price segments are becoming more competitive as watchmakers try to lure buyers by providing better value, the executive said. Demand for extremely high-end watches has been dented in the past half-decade as China waged a campaign against corruption and smuggling, which shrank the world’s biggest market for Swiss watches. Many brands have cut prices by as much as 30%, meaning more producers are competing on the entry level, Cerrato said. “There is this strong battle in value that is coming up,” Cerrato said. Montblanc has also been expanding in the €20,000-and-higher end of the market with watches made at the Villeret in Switzerland, site of Minerva, a 160-year-old producer that Richemont bought in 2006. 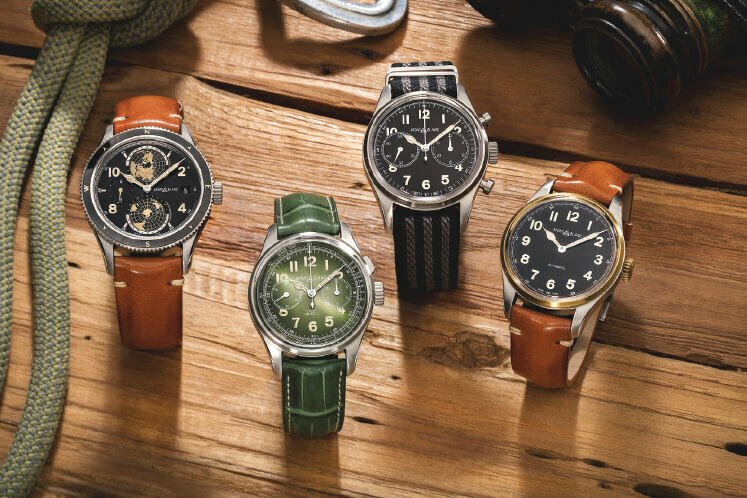 Such pieces include monopusher chronographs that sell for €25,000 to €30,000, which is a fraction of the price of those made by Patek Philippe SA and Richemont’s A Lange & Soehne. Cerrato said the price range from €6,000 to €20,000 is one of the toughest segments because that’s where most Swiss watchmakers aim. Entering sports watches may also give Montblanc a leg up in the US, where about 80% of the market is in that segment, Cerrato said.